In today’s society, more people are looking into ways that they can become healthier by relying on natural remedies to cure ailments and to improve their immune system. Depending on the type of illness or medical condition you are dealing with, herbal remedies may be your best option. If not, they can be a great addition to your existing treatment plan. Whether you’re dealing with a cold or if you have been noticing acne scarring, herbal remedies can be quite useful and inexpensive. One of the largest advantages to herbal remedies is the fact that they are made out of pure and organic ingredients. It is important that you read through the ingredients label on store bought products to ensure that they are truly organic. If not, you can always make your own concoctions at home. You won’t have to worry about putting artificial fillers and synthetic formulas into your system that may make your body act adversely. When you start taking over the counter medication, it can be difficult to determine whether you’re allergic to a particular ingredient until it’s too late. 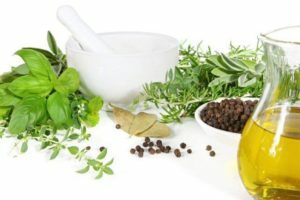 With herbal remedies you are aware of the ingredients in the formula and you can easily tell if it’s something that will negatively affect your health. For example, rosehip seed oil is great for scarring, but if you are allergic to roses, it wouldn’t be a formula you’d want to use. Depending on your body type, there is a very low chance that you will ever have to deal with side effects when you are taking herbal medicines. You will first want to talk to your doctor before consuming any type of medication, natural or not, to make sure that it is safe for your condition. There is a significantly lower chance that you will have to deal with nausea, dizziness, vomiting, internal bleeding, and the other harmful side effects found in traditional medications. Since all of the ingredients can be cultivated from the earth, natural medicines are going to be substantially less expensive than both over the counter and prescribed medications. They do not need to be created in labs or sold from major retailers in your area. You might even find that using ingredients that you’d buy from your local grocery store can make the majority of remedies. This can be quite useful for people who are looking to cure minor ailments on a budget.